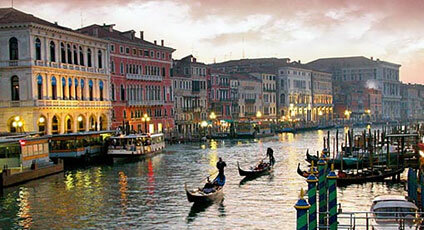 On the largest lagoon of the Veneto region, separating the high Adriatic from the coast, one finds Venice. 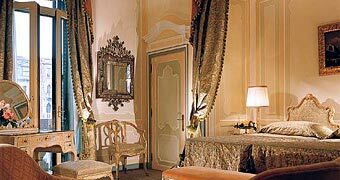 Venice, the world famous city on the sea, is an incredible treasure trove of culture and art, with an endless quantity on historical buildings and numerous museums of great cultural importance. Piazza San Marco, with its Basilica of St Marco and soaring Bell tower is known throughout the world. 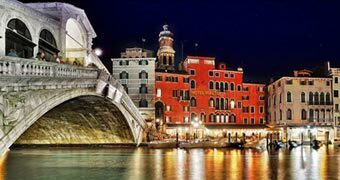 Not to be missed: the Arsenal, the Fenice Theatre, the Peggy Guggenheim Museum, the Tre Archi Bridge and the Rialto Bridge, the most famous of the Venetian water crossings. Well worth visiting: the Lace Museum, the House of Carlo Goldoni, the Museum of 18th Century Venice, Palazzo Ducale, the Glass Museum, the Galleries of the Venice Academy, the Querini Stampalia Museum, the Bevilacqua La Masa Foundation, the Giorgio Fianchetti Gallery at the Ca' d'Oro, Palazzo Mocenigo, the Fortuny Museum, the Scala Contarini del Bovolo. 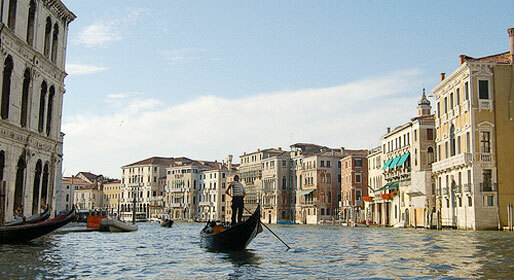 The Biennale di Venezia is the world famous international contemporary art exhibition held every other year in Venice. Venice also hosts the International Cinema Festival and many other events connected to the arts, architecture, and the performing arts.